What makes our company stand out from the rest. We Lift is an NEMT Rideshare platform, specializing in courier services and wheelchair transportation in New Orleans, Louisiana. Our vast network of providers allows for competitive pricing in both industries. 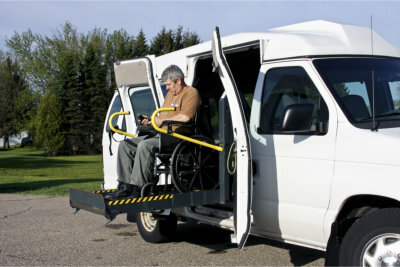 Our mission is to unite NEMT providers in all U.S. markets in order to provide the most affordable, comprehensive wheelchair transportation service to the public. Our mission is to affirm NEMT services as the standard for rideshare platforms. Our vision is to address the need for affordable qualified ON-DEMAND wheelchair transportation throughout the U.S. Providing wheelchair transportation for RECREATIONAL/PROFESSIONAL/MEDICAL uses is just the beginning. Providers can negotiate larger contracts to service hospitals and other facilities directly. Partnering with airports, event planners, funeral homes, facilities, and insurance companies directly, opportunities are endless. Participating providers increase ways to earn money without increase driving. Know more about our company by calling us at 504-800-8005.